In July, the emerging e-commerce platform Phonepay acquired Zopper Retail as a segment of its plan of action to proactively raise their offline presence. The conditions of this merger were not transparent to the users of Zopper Software which ended up in confusing the existing and prospected users of the Zopper POS Software. Although Zopper’s distinct pursuit section ‘Zopper Assure’ which provide wider guarantee services is outside the bounds of the agreement and will persist to function as a different existence. In this whole scenario, there’s a large number of retailers who switched to eR4u - Easy Retail For You Software since it offers you GST invoices, Bills, Inventory Management for Supermarket, Stores, Shops & more utilities with additional features than Zopper which was costly and expensive in terms of AMC as well. eR4u Retail is a POS software which contains customer relationship management, invoicing, stock management, and accounting etc for desktop, tablet, laptop & mobile. eR4u point-of-sale helps to organize regular decisions & activities of your Retail Business with its positive influence on inventory management from any location or device. Easy Retail For You - eR4u also come up with a valuable understanding of your customer’s preferences and behavior. ER4u currently has more than 5,000 stores active using the software that includes garment stores, furniture, footwear, super-market, electronics and more business which are operating under the retail industry in India. 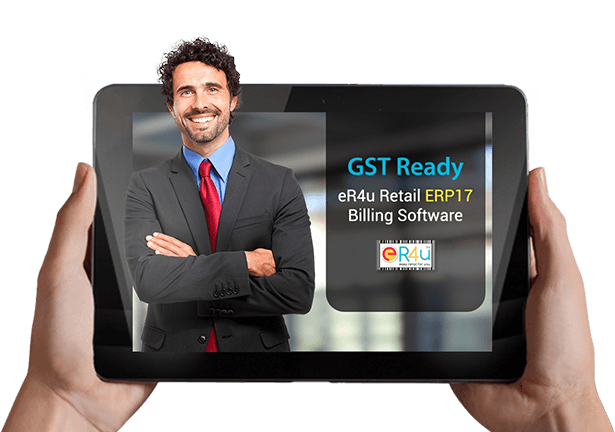 eR4u - Easy Retail For You is a popular user-friendly retail billing software in India. It is flourished by our software experts with the objective to succour Indian sellers by ameliorating their daily transactions & sale up to 30% in addition to building them into progressive business owners. Time is precious for a person’s regular occupation and retail management. eR4u assist to non-manualize your physical effort and saving hours. It is a complete point-of-sale supervisory software among the trade industry which is a full retail service component for Retail and Stock control.